Heather began Hatha Yoga in Canada in 1986. She has taught Ashtanga Vinyasa Yoga and Dynamic Flow Yoga in London and on international retreats since 2004. Her teaching style integrates yoga philosophy with breath and asana to reveal the spiritual path underlying the practice and the technology to stabilize the mind, so we can liberate ourselves from suffering. 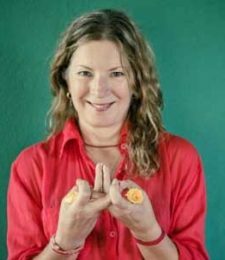 Heather’s approach is a deep physical and psychological practice that moves beyond a mere physical experience to make the yogic inquiry authentic and relevant to real life. Heather is certified at the highest level with the Yoga Alliance (E-RYT 500) and also offers Yoga Teacher Training. She’s also an excellent photographer and we always look forward to seeing her pictures when she returns from her annual destination yoga holiday!